They loved you, yeah yeah yeah. The Beatles took over Greenwich Ave recently, just as they took over New York when they arrived on the runway at JFK Airport on Feb. 7, 1964. 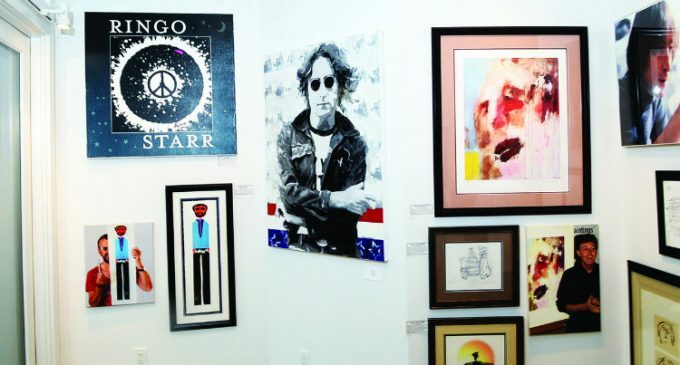 The Fab Four – the Lads, if you will – were featured in a recent art show at C. Parker Gallery. The gallery recently moved to 409 Greenwich Ave.. The Beatles largely changed the pop culture and musical world when they exploded in the early 1960’s, impacting everything from their songs to lunch boxes, movies, toys, and even Saturday morning cartoons. But the band also had a very artistic side. “I was trying to think about what would be a really fun and interesting exhibition to celebrate our grand opening,” said Benincasa. With Paul McCartney – who probably needs no introduction, but he was, indeed, in The Beatles – playing Madison Square Garden and other local venues this month, Benincasa thought it made sense to bring the art of the Fab Four to Greenwich. She added that each member is represented – the famed group of McCartney, John Lennon, George Harrison, and Ringo Starr. McCartney’s wife – Linda, of the Eastman photography family – was also represented. Among the pieces included a signed picture taken by Linda of Paul, holding their newborn child Mary. The photo appeared on the back of Paul McCartney’s first solo album, released in 1970. Mary, incidentally, was named for McCartney’s mother – the “mother Mary” of “Let it Be” fame. She said that prices were all over the spectrum. Starr, for instance, continues to produce artwork to this day. Still active at 77, the former Richard Starkey doesn’t sign personal autographs, but does sign his artwork, and donates proceeds from his work to his charity, The Lotus Foundation. “Not all of the prices are Warhol prices,” she said. While The Beatles exhibition closed on Sep 24, that doesn’t mean the psychedelic feeling has left C. Parker Gallery. Peter Max, who helped served as an inspiration for The Beatles’ “Yellow Submarine” animated movie, will have his work displayed at the gallery, beginning on Oct. 13. The event will begin with an “uncrating” on Oct. 13, and will will continue through Oct. 22. Max is best known for his use of bright colors as a master of Pop Art. His style came to be closely associated with the “Summer of Love” of 1967, as well as the Woodstock Festival in the Catskills region of New York in Aug, 1969. Benincasa said she is very excited about the upcoming Max exhibit, with Max himself appearing at the gallery on Saturday, Oct. 21 from 6-8 pm and on Sunday, Oct. 22 from 2-4 pm. Max will celebrate his 80th birthday on Oct. 19. 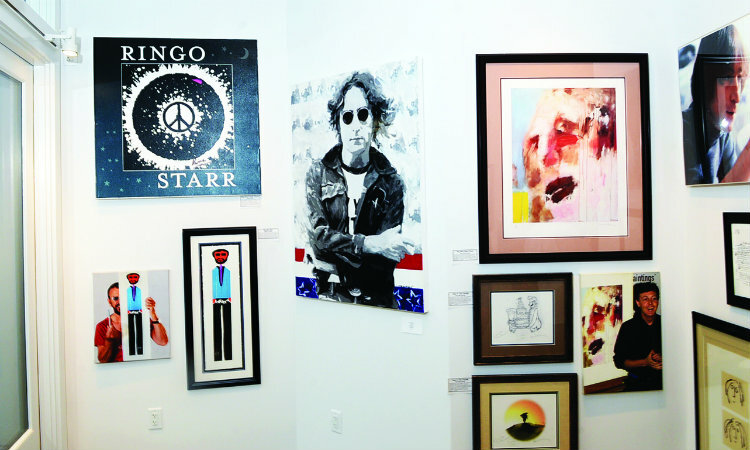 C. Parker Gallery is available for all art needs, and reservations for the Peter Max appearances are required. The gallery can be found online at cparkergallery.com or via phone at 203-661-0205.